← Post Christmas Shopping Burger and Martini round up. Mum and Dad looked askance. “Won’t it be a little cold?” wondered my mother, mindful of our own family Easter holiday to Rome when all we took were shorts and sundresses and it snowed for three days straight, (“and that was in April”). Well yes, my parents conceded, it surely would be. “What about the Mafia?” my mother wondered. 1/4 cup white wine or vermouth. 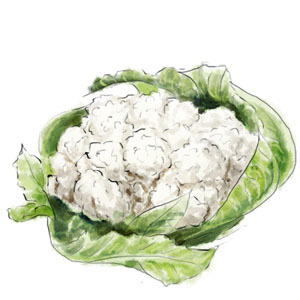 Toss the cauliflower with some olive oil, salt and pepper, then roast at 350 for 25 mins, turning once or twice, until cooked through. While the pasta is cooking, get a frying pan on the heat, add just a little dash of olive oil and toast up the panko until it is nut brown, and smells like heaven. Tip into a dish, add half the parmesan and the parsley. Season well. Get the frying pan back on the heat, drizzle in a little olive oil and get the lardons cooking until they are crisp and render some fat. Grate in the peeled garlic clove, turn in the heat, then add the wine and cream. Let the sauce bubble and reduce slightly. Toss in the cooked penne, add the cauliflower, capers, and the parmesan, and cook for a minute to bring all the flavors together. If the sauce is too dry, add a splash of pasta water. Divide into bowls, and top with the breadcrumbs mixture. Freshen up with a squeeze of lemon. This entry was posted in Uncategorized and tagged capers, cauliflower, garlic, lemon, panko, penne, snow birds. Bookmark the permalink.